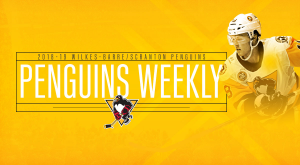 WILKES-BARRE, Pa. – The Wilkes-Barre/Scranton Penguins announced today that goaltender John Muse has been reassigned by the Pittsburgh Penguins (NHL) to Wilkes-Barre/Scranton from the Penguins’ ECHL affiliate, the Wheeling Nailers. Muse is an eighth-year pro who posted a 2-2-0 record and one shutout in four games played with Wilkes-Barre/ Scranton. During one of his wins, Muse set a franchise record by making nine saves on nine shots faced in a shootout against the Hershey Bears on Dec. 9, 2018. He also became the first Penguins goalie since 2003 to allow four goals or fewer in his first three starts with the team. The East Falmouth, Massachusetts native racked up a 2.00 goals against average and .934 save percentage in his four contests with the Penguins this season, too. Muse has appeared in 21 games for the Nailers this season, earning a 7-12-2 record in that time. The 30-year-old Boston College alum accrued a 3.40 goals against average and .878 save percentage with Wheeling. 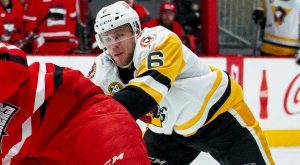 Wilkes-Barre/Scranton’s next game is tonight, Wednesday, Feb. 6, when it kicks off its Midwest road trip against the Rockford IceHogs. The Penguins’ next home game is Saturday, Feb. 16 against the Utica Comets. Puck drop between the Penguins and Comets is scheduled for 7:05 p.m. at Mohegan Sun Arena at Casey Plaza.